Many Democrats have a shorthand explanation for Clinton’s defeat: Her base didn’t turn out, Donald Trump’s did and the difference was too much to overcome. 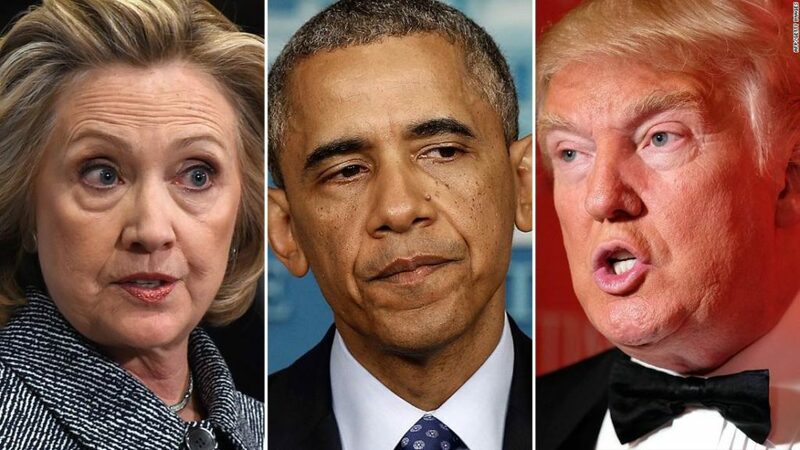 Those Obama-Trump voters, in fact, effectively accounted for more than two-thirds of the reason Clinton lost, according to Matt Canter, a senior vice president of the Democratic political firm Global Strategy Group. In his group’s analysis, about 70 percent of Clinton’s failure to reach Obama’s vote total in 2012 was because she lost these voters. In recent months, Canter and other members of Global Strategy Group have delivered a detailed report of their findings to senators, congressmen, fellow operatives and think tank wonks – all part of an ongoing effort to educate party leaders about what the data says really happened in last year’s election. “We have to make sure we learn the right lesson from 2016, that we don’t just draw the lesson that makes us feel good at night, make us sleep well at night,” Canter said. There was brief mention of Clinton’s“high unfavorable ratings,” but it appears they might be paying too little attention to this key factor. Polls have shown that Clinton is distrusted. There have been numerous stories during the campaign cycle about how she used her political positions to obtain personal wealth, between her influence peddling as Secretary of State and her Wall Street Speeches. This would be expected to alienate those voting based upon economic anxieties, and reinforce the view that the Democratic nominee was not offering solutions to their problems. These people previously voted for Barack Obama, and showed they would support Bernie Sanders. They were not willing to vote for Hillary Clinton. While there is no doubt that Clinton lost many Obama voters over economic concerns, I do wonder if other problems are missed due to not being represented in the polling data released per the above link. Going beyond economics, during the Bush years, and going into Obama’s presidency, the conventional view among Democrats was that Bush and the Republicans are evil for going into Iraq, restricting civil liberties to supposedly fight terrorism, and decreasing government transparency. Hillary Clinton’s record here is virtually indistinguishable from George Bush’s, and now the Democratic establishment says: Don’t listen to purists on the left who object to Clinton’s support for war in Iraq, Libya, and Syria, along with a resumption of Cold War style hostilities with Russia, her support for restricting civil liberties to fight terrorism, and her hostility towards government transparency. We must unite to fight the evil Republicans. Democrats have a serious messaging problem, including but certainly not limited to economics. Posted in Barack Obama, Bernie Sanders, Civil Liberties, Donald Trump, George Bush, Hillary Clinton, Iraq, Politics, Polls, Scandals. Tags: Barack Obama, Bernie Sanders, Civil Liberties, Donald Trump, George Bush, Hillary Clinton, Iraq, James Comey, Jill Stein, Libya, Politics, Polls, Russia, Scandals, Syria. RSS feed for comments on this post.. TrackBack URL. You were correctly on top of this subject from the beginning of the election. If only Democrats had listened when I warned that nominating Clinton was very risky, and that the email scandal would affect the election.